There’s no easier way to teach a child than through play. 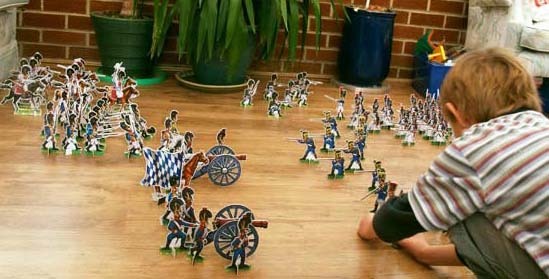 If you have a budding historian on your hands they will love learning with Walkerloo Toy Soldiers! A historian I am not, but I can still see how these toy soldiers from Walkerloo will provide much entertainment for children. Each soldier is amazing, with intricate details from their clothing to their varying facial expressions. It’s worth mentioning that these soldier sets are probably better suited to older children as some pieces are a little graphic with blood and so on. A great place to start is with a Starter Pack consisting of twenty foot soldiers, seven mounted soldiers and one cannon. 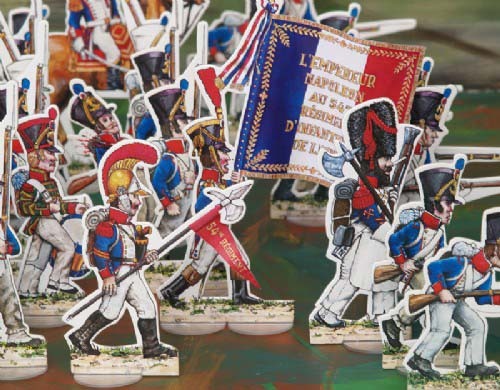 You can choose from British Infantry with French Cavalry, or French Infantry with British Cavalry, and the cannon fires elastic bands (note to kids – don’t fire them at each other). Made from extra strong cardboard (think children’s board book), the sets are easy to put together. Just pop the pieces from the sheets and push into the plastic stands to build your army. Once they’re all put together, prepare for them to invade your floor! Walkerloo Toy Soldiers Starter Pack is priced at $35 plus delivery and sold exclusively in Australia at Busy Bee Toys.